If there is one pair of shoes that I think is the epitome of summer, it is my pair of red Converse All Stars low tops. I have an old pair in black, but when those had to be renewed, I opted for the red instead. Why? Because they add a fun, fresh pop of color with any outfit. And that is what I like to wear in the summer time. So here are a few outfits that show you how I would style up this classic pair of summer shoes. Outfit one is super basic, but so much fun. 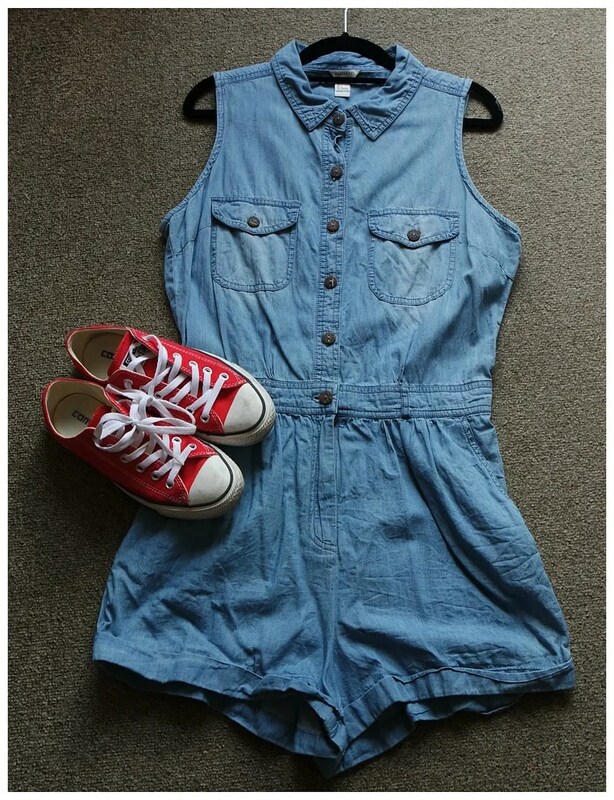 This denim playsuit is a summer/ holiday/ festival staple in my wardrobe. Not something I bust out in to wear to work, but on casual days I love wearing an outfit like this. It looks denim, but it is actually a lightweight cotton material. This makes the playsuit lightweight and super comfortable to wear on a hot day. Paired off with the shoes, I think this makes for an excellent summer outfit. This a-line dress is another staple in my wardrobe. It is stretchy which means it always feels and looks great on. The shape is what makes me love this dress even more. The a-line shape makes this dress a bit more 60s and I like that retro vibe. To keep it modern and a little bit more fun and interesting, I think the shoes add not only a pop of color, but they also add a more up to date style. I love pairing dresses and sneakers and this is one of my particular favorite combinations. For cooler days, I like to wear a light wash pair of denim. This pair are the Leigh jeans by Topshop and they are my favorite summer jeans. They are a jean, but they aren’t too think which makes them more suitable for warmer weather. In regular jeans I just tend to overheat. I added a white t-shirt with a red print. 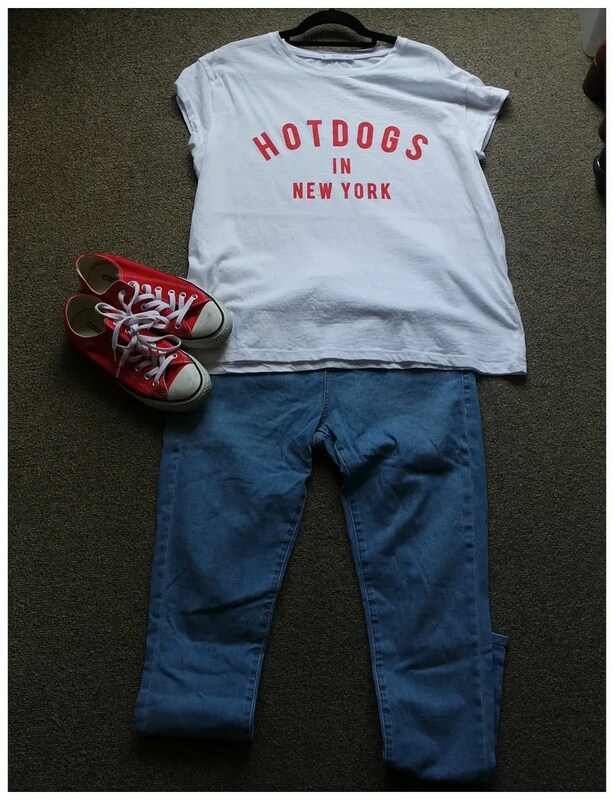 For one because I think a white tee with a lightwash denim is a classic combination, but also because the red pairs nicely with the shoes. Just a great casual outfit that works every day of the week. For cooler days, and especially on festival nights, I like layering up. This is the type of outfit I would wear on colder evenings, or to a picknick in the park. 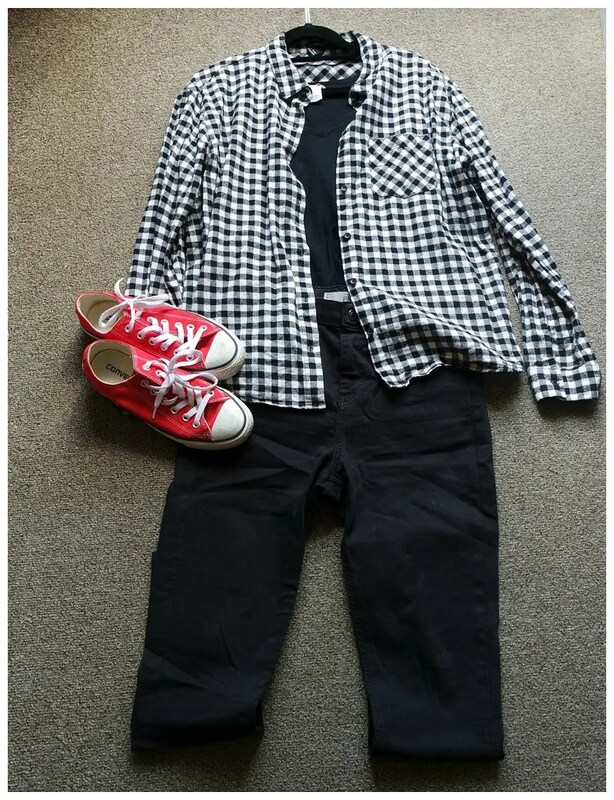 The black and white base of this outfit really makes that red color of the shoes pop. The blouse add a nice layer of warmth, but it can easily be tied around the waist when you get a bit warm. The flannel material does mean it does keep you warm when temperatures start to drop. The rest of the outfit is very black and that is always a good base to work from. Another way I like to style up these shoes is with a flirty skirt. This skater skirt is a fun item as it has all these little flowers scattered all over the skirt. It has a very whimsical, girly feel to it. It’s a tad short, so again, not something I wear to work but on a casual day out on the town, this is the kind of outfit that works very well. 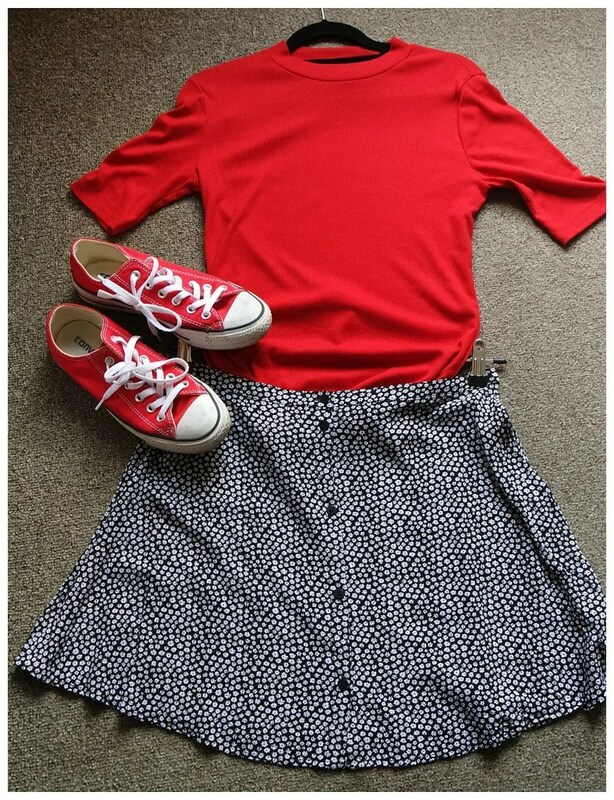 The red shirt again ties in the red of the shoes and that makes this is a very cohesive outfit but still interesting as the pattern of the skirt is fun. Perfect how you wear them with stylish fashionitems. Love converse! I absolutely love the jumper! 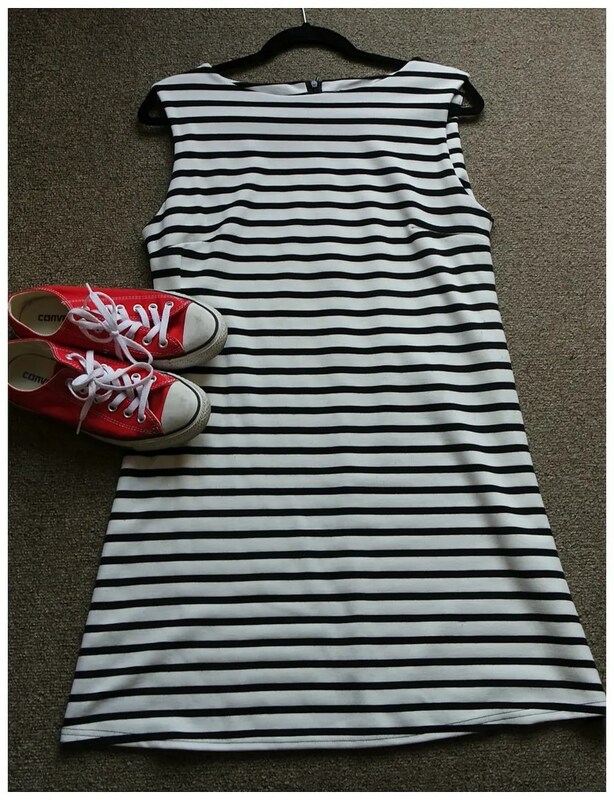 I would of never thought to style it with red shoes but that would look so cute! Red shoes go with a lot of things surprisingly. Yes yes yes yes yes! Love How these brighten everything up for spring/summer.